You can donate online using your credit card or through PayPal. Just click on the orange "Donate now". Complete the payment form and submit. Thank you. Individual sponsors are an integral part of our organisation. 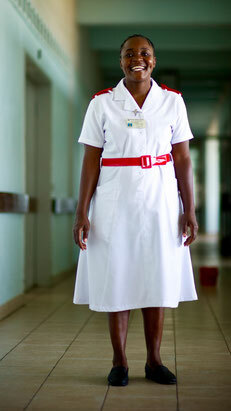 As a sponsor, you are a champion in building Tanzania's health care sector. All little bits help and all will go to training a health care worker, however, we recommend annual sponsorship of at least $1,000 USD. You can mail a check, or choose to give monthly through a credit card or a checking account. Please email us or call the Madaktari Africa office for the monthly donor option. Many employers will double or even triple the value of employees charitable contributions. If your company participates, contact your HR or Charitable Division to obtain and complete a matching gift form. For reference, our tax identification number is 61-1572030. Once completed you may simply mail your completed form to the address below. We try to send a donation letter to all who make donations to us. Unfortunately, it is not always possible for us due to lack of contact details provided. Therefore, please email us at info@madaktari.org if you wish to receive a donation letter. We will gladly send you one!